Back in July I delivered a session for the International Teacher Development Institute (iTDi) Summer School MOOC. I had attended a couple of online events during the previous months, but this was my first time presenting in such a context. The session was ‘Teaching English Through Art’. It involved showcasing how artful stimuli and Thinking Routines can be integrated in the English classroom as a means of developing students’ thinking skills and creativity alongside their linguistic competence. It drew upon classroom experience from working with my students on a project integrating the use of art and the Making Thinking Visible approach. They were 6th grade primary school students (11 years old), two mixed-ability groups of 20 students each, their level of English ranging from pre-intermediate to upper-intermediate. A great number of teachers from more than 20 countries attended the session. In this post I will try to make visible a medium part of the participants’ thinking and interaction during the session as shared in the rich chat box. Thinking Routines are flexible, simple structures such as a set of questions or a short sequence of steps. When applied systematically, these routines help develop students’ creative and critical. I see a tree. I think it’s winter. I wonder if this is a graveyard. I see a graveyard. I think it’s quite depressing. I wonder what kind of lesson it was. I see abstract thinking. I think students have had quite a touch with art. I wonder how long it takes to develop this. I see a different picture. I think they built a concept. I wonder why. I wonder what experiences the students have had to produce this. The See-Think-Wonder routine encourages careful observations and thoughtful interpretations. You can use it to stimulate curiosity and set the stage for further engagement with a topic. Paintings, photographs, interesting objects can be used to prompt learners’ observations, thoughts, and wonderings. In this case, I used it as a way to introduce the session participants to the idea of integrating artful stimuli and Thinking Routines in the English classroom. At the same time, I used it as a means of reflecting upon another routine, the colour-symbol-image routine. What the participants saw was how a group of the students I worked with distilled creatively the essence of ideas explored through watching, reading, and discussing when we dealt with the theme of War/Peace. The Colour-Symbol-Image routine is a way to encourage individual or group expression, both verbally and non-verbally. It can be used at the end of a topic and asks learners to select a colour/a symbol/an image that they feel represent the ideas discussed, and to explain why they chose it. The students who produced this image had chosen to represent war. During the theme they were exposed to a variety of art, audio/visual, and textual stimuli such as paintings, photographs, a short animation film. This enhanced their symbolic and metaphoric thinking. We needed eight 40-minute teaching sessions to complete the theme. The Colour-Symbol-Image routine was used at the last session. Another routine that we tried was What makes you say that? -What do you see that makes you say that? This routine helps learners describe what they see and invites them to build explanations. It promotes evidence-based reasoning. The bigger girl is bullying the younger one. She looks threatening and there must be some figures behind her. Maybe the mediumer girl feels she has no support-teetering on the edge of a cliff. Bigger girl intimidating with support. She’s going to push her over. Her clenched fist indicates an angry persona. Shadows represent support even though we don’t see their bodies. People watching, but not doing anything. The case with bullying usually. What is fascinating in this picture…is that half of the girl is darkened by the shadow of the older one. …students are cognitively and emotionally engaged…and this would be a good base for a speaking and writing task. Open-ended activity, no right or wrong answers, students are encouraged to express themselves. These routines also help the teacher to develop his own critical thinking. 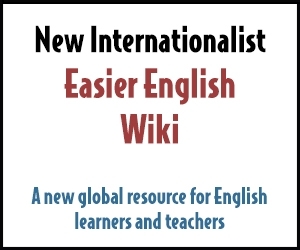 Helps students make strong connections between ideas and language. It is a fantastic way to give students forum for free thought and associations. It levels the playing field in learning. Students express deep feelings. Become more sympathetic. These activities stimulate creativity, critical thinking skills, English language skills, and respect for other people’s opinion. Routines promote descriptive language and stimulate observation. No right/wrong answer so sense of security for learners. It taps into the students’ imagination, feelings, creativity, vocabulary. These kinds of activities draw the language from them. Consistent and prolonged use of thinking routines cannot but nurture a culture of thinking. Like breathing. Diversity of thinking is stimulated like this. No set answers neither answers in the teacher’s mind the students try to guess. Very learner centred. It is a routine to have learners reflect on how and why their thinking has changed. It is best to use it at the end of a topic or issue. I asked participants to reflect on what they used to think about using art in their English classes before the session, and what they thought about it, at the end of the session. I used to think it’s impossible to programme the thinking process of students. Now, I think art is a powerful way, which can make this process not only possible, but also enjoyable for students. I used to think it was a great stimulus for my Dogme lessons. Now, you have given me some fresh ideas for thought. I used to think my students wouldn’t like to work with art. Now, I think they will love it. I used to think teaching through art was tricky. Now, I think it’s fun. I used to think that teaching through high brow art is too academic. Now, I think it can be very involving. I used to think I had no need for art in my English classes. Now, I think I was wrong, and I’m looking forward to trying it out. I used to think that teaching through art was mostly for older students but now I think it is good for my primary students too. I used to think art could be useful in order to visualize some ideas. Now, I think it has a much deeper potential that could be explored in class. I used to think that teaching grammar was enough. Now, I think art is a wonderful tool to explore language use. I used to think there was no use for art in esl. Now, I think I can’t wait to try it. I used to think art might have difficult notions for students to talk about, now I think that there are ways to motivate them. I used to think very few children would appreciate works of art. Now, I think it can be turned into a very creative and amazing activity. I used to think that art just belongs to artists but now I think it’s a perfect device for teaching. This was a great group of teachers who made this MOOC session a truly worthwhile learning experience. Thank you all very much. Special thanks to Chuck Sandy and iTDi for encouraging, and supporting this session.